Summerfield Stables is a community group that has been established over forty-three years. 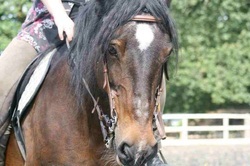 It is a registered charity with the aim of encoraging children and young people in the Yardley Wood area of Birmingham to understand and interact with horses. The young people who visit the stables range from the age of three upwards and come from the surrounding areas, including Yardley Wood, Hall Green, Balsall Heath, Kings Heath and Billesley. We aim to be as inclusive as possible of children with both mental and physical disabilities and work with a variety of children with behavioural problems. 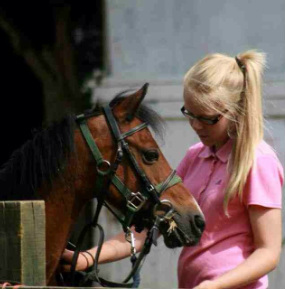 We aim to increase the confidence and practical skills of children and young people through working with the horses. We believe that working with these animals helps them to learn to follow instructions and to practice teamwork. The young people have a chance to develop leadership skills by helping others to learn and by organising activities for the younger age groups. We do not believe that a genuine lack of money should deny people access to horses and some charities and even schools sponsor some children to attend. It is important that horses are seen as companion animals and life time friends. They are not machines or a short term commodity. Many horses at Summerfield are rescued, so there is an organisational focus on reschooling. However most of the horses enjoy competing in local shows on a fairly regular basis and the experience for young people is very much like owning their own ponies, whilst at the same time learning to share them and help others.